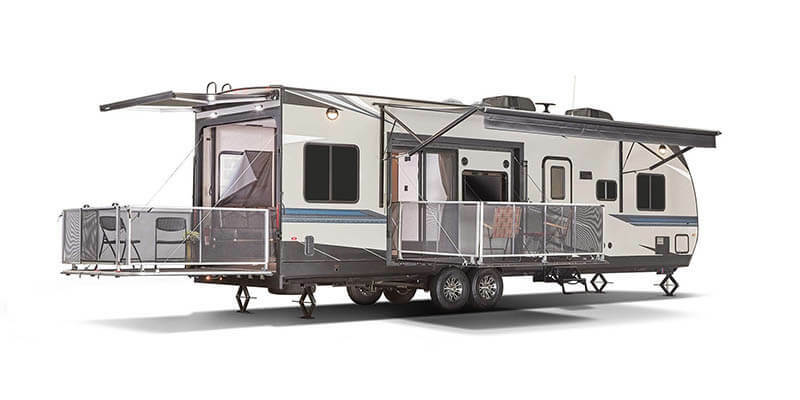 The 2018 Octane is a toy hauler RV. 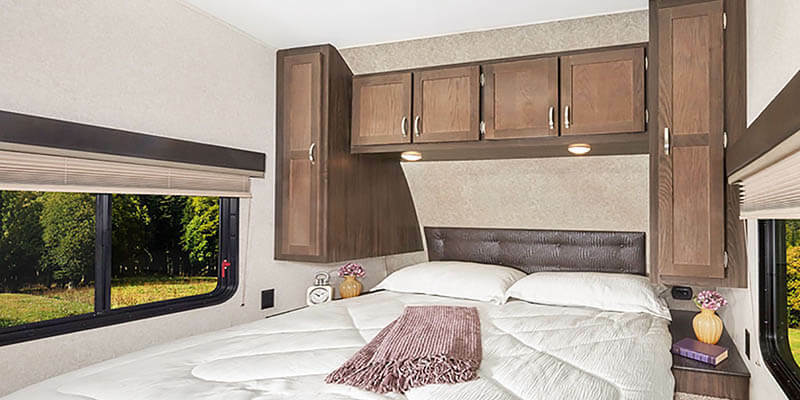 It is capable of hauling everything that is required for a camping trip or vacation – and with the luxury to have all the amenities you need! 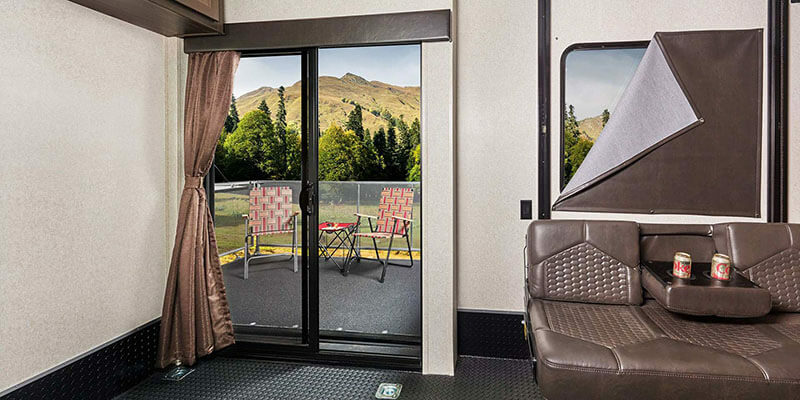 The exterior of the Jayco Octane is made to withstand the elements. 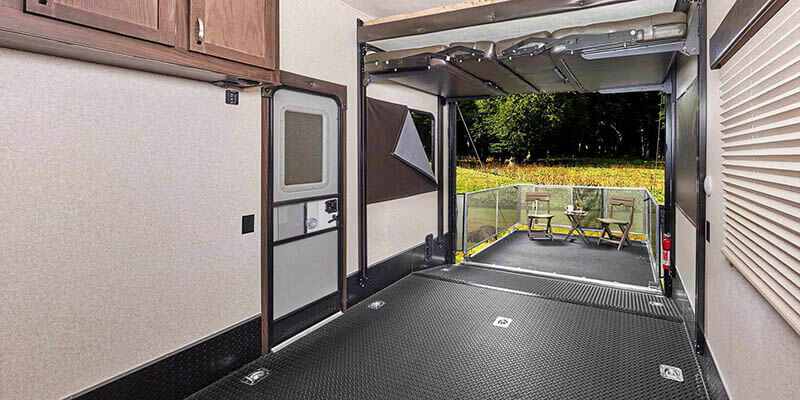 This RV is equipped with vacuum-bonded, aluminum and fiberglass walls, a fiberglass ramp, and nitrogen tires filled with nitrogen. 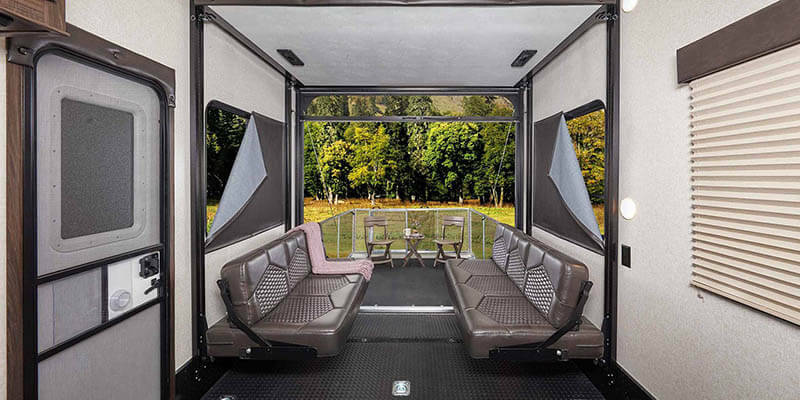 The inside of this RV could rival most homes. Seamless counter tops, a furnace, and ball-bearing drawers are just a few of the features of The Octane. 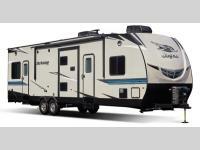 The Jayco Octane’s exterior is reliable and sturdy. This means you will be able to enjoy your time on the road worry-free. A 40-gallon generator will provide you with peace of mind while traveling. 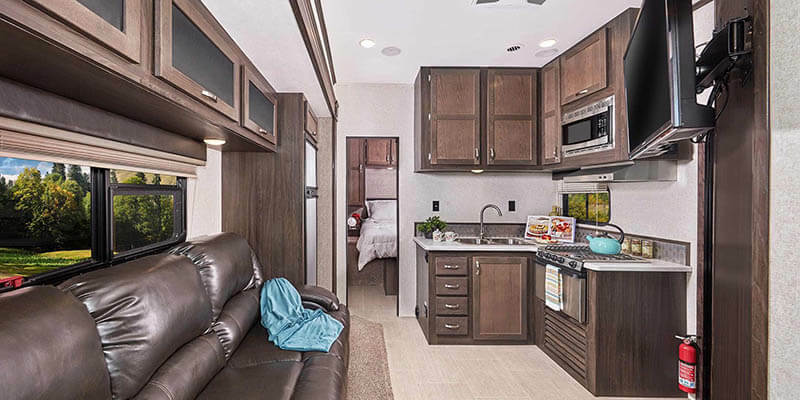 All of the RVs at Jayco Rv dealerships are luxurious, and the 2018 Octane is no exception. 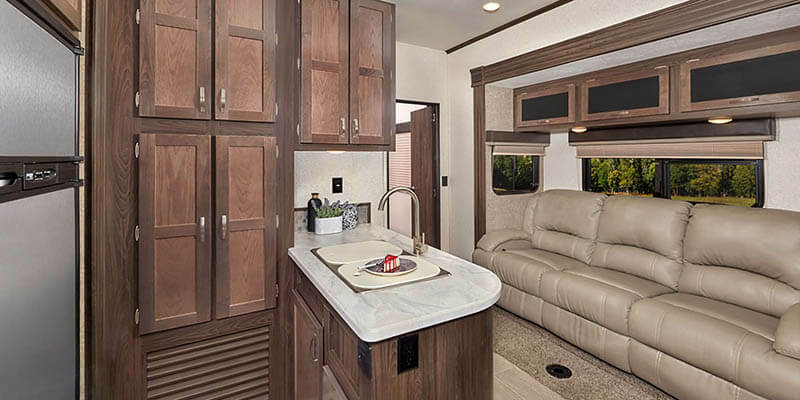 Its countertops are lit with LED lights, and ceiling fans and foldaway dinettes are options. You will be able to take a relaxing shower in this bathroom after a long day of adventuring. It comes equipped with a skylight, a glass shower door, and a power vent. In addition to the aforementioned generator, this RV comes equipped with a 3,500 pound electric tongue jack. This makes set-up a breeze. 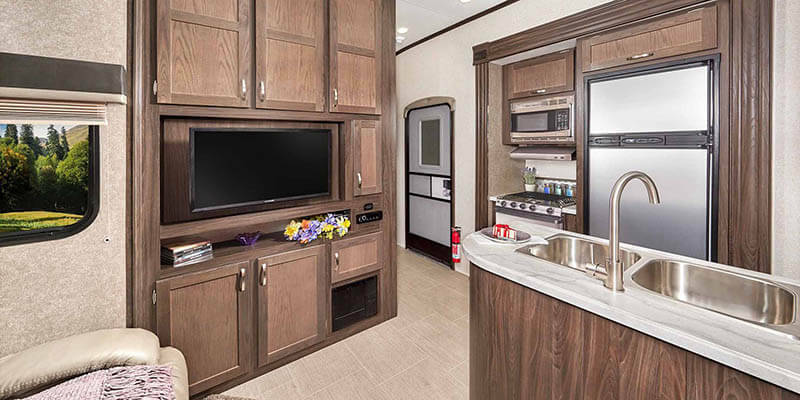 The Jayco Octane also has a microwave, a double-bowl stainless steel sink with a cutting board cover, and a two door fridge. After a long day in the outdoors, you’ll be happy to know your kitchen has everything you need to prepare a meal. It also has a patio awning with LED lights. 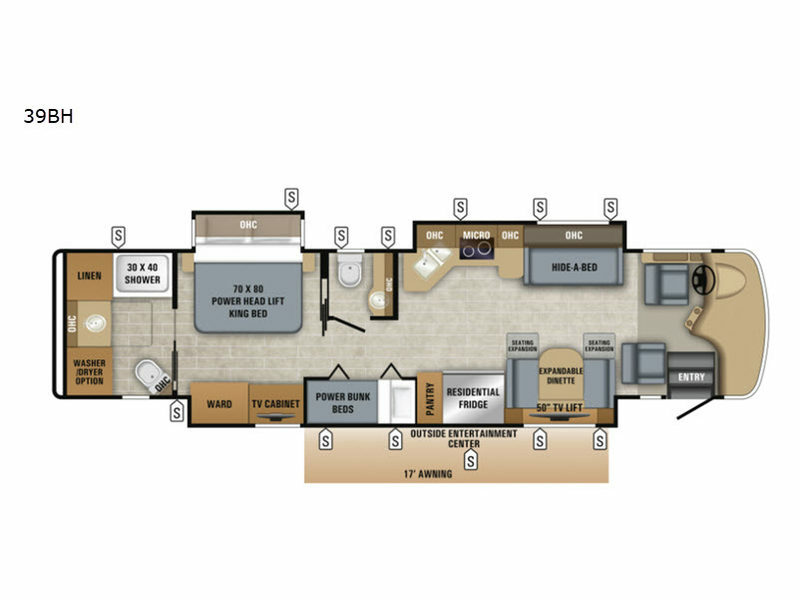 Unlike most RVs, the Jayco Octane includes an extra bathroom! This half-bath comes equipped with a toilet, cabinet, and mirror – great for additional privacy or for visiting guests. The master bedroom has plenty of storage space due to the six cabinets that surround a king-size bed. Storage room is also provided under the bed. When you aren’t relaxing in bed, you can sit on the side patio.